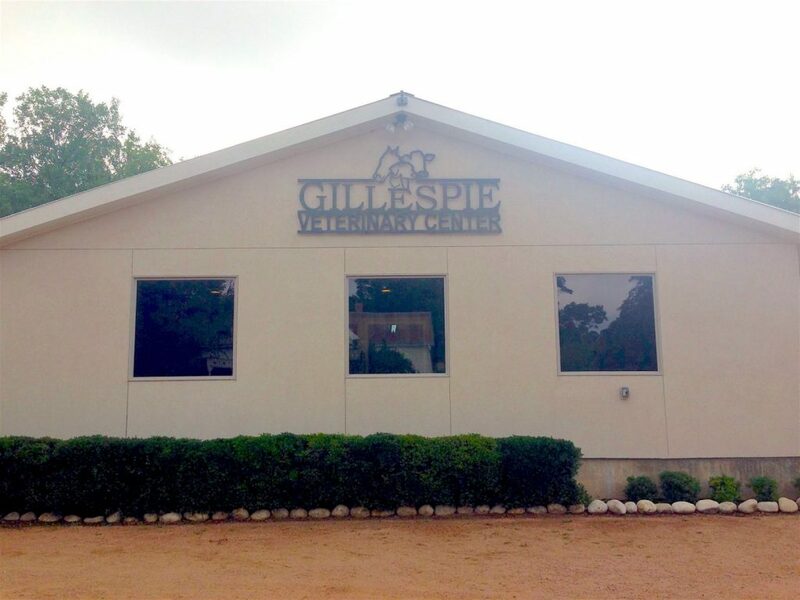 Located in Fredericksburg, Texas, Gillespie Veterinary Center is a mixed-practice clinic that offers full-service veterinary care to help your pets and livestock live a happy and healthy life. Gillespie Veterinary Center has continually provided the Texas Hill Country with outstanding veterinary care for more than 40 years. Established in 1973, Gillespie Veterinary Center was one of the first full-service veterinary clinics in the Fredericksburg area – a legacy our friendly and talented team is proud to carry on. The relationship between a veterinarian and the animals we serve is a special one. Our clients, and their owners, truly become part of our family. Whether it’s an annual checkup for your dog or cat, or caring for your livestock, the team at Gillespie Veterinary Center will treat your animals with the utmost care and respect. Walk-ins are welcome, but appointments are preferred. Please contact us if you have any questions, or would like to schedule an appointment – our staff will be happy to assist you! to speak to one of our friendly and knowledgeable team members! You treat your pets like family, and we promise to do the same! Comprehensive veterinary care is part of ensuring your pets live long and happy lives. You’ve got questions, we’ve got answers! Being a pet parent isn’t always easy. Visit this page to see the answers to some commonly asked veterinary-related questions. Visiting Gillespie Veterinary Center for the first time? Skip the waiting room paperwork, by filling out our easy-to-use online form. We’re excited to see you for your first visit! Choosing someone to care for your animals is a big decision. Get to know our vets and the rest of our team. We truly love what we do, can’t wait to work with you! At Gillespie Veterinary Center, we do so much more than check-ups and vaccines. We offer a wide range of grooming services that will help your pets look (and smell) their best. We also provide boarding services to give your pet a home away from home, when you can’t take them with you! Gillespie Veterinary Center has provided Large Animal care since the beginning. Our team has a strong livestock background, and can provide everything from surgical procedures to general herd health. We know you're busy! That's why we will do our very best to accommodate your schedule. Contact us to book your appointment today!